Plant resources are the treasure house of human and the fundamental guarantee to maintain the sustainable development of human society and economy. After thousand years, introduction and domestication of plants has promoted the progress of human civilization and plays an incomparable important role in promoting agricultural development and social economy. Botanical garden is a research institution specializing in the collection, cultivation and domestication of wild plants, scientific research, and conservation and utilization. It is also a plant resource bank for national plant diversity protection and sustainable utilization, and related industrial development, as well as an important experiment, demonstration and open site for national macro decision-making and public education. 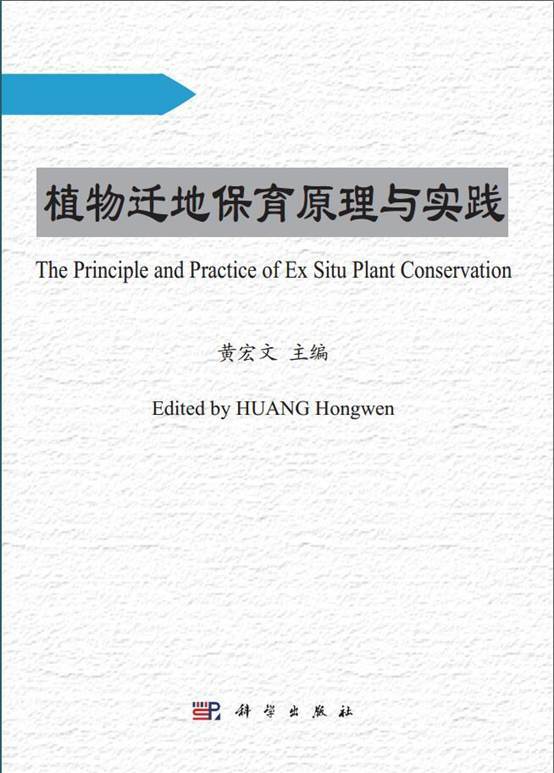 The Principle and Practice of Ex Situ Plant Conservation, edited by HUANG Hongwen, has been published by Science Press. The monograph systematically summarized the principle and practice of ex situ plant conservation, the historical inheritance of botanical garden and China botanical garden's mission and fundamental task for the first time.